HTC seems to be on a phone launching spree in the country. The phone-maker today launched HTC Desire 600C, the mid-range smartphone in India. 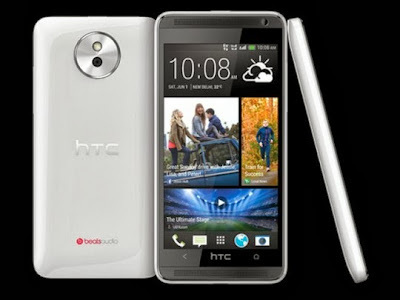 HTC Desire 600C is the successor of HTC Desire 600C. While HTC Desire 600 supports dual-SIM both in GSM mode, HTC Desire 600C is for CDMA lovers. There are not many specification differences when it comes to HTC Desire 600 and HTC Desire 600C. In the looks department, HTC Desire 600C takes after the HTC One gene pool. HTC Desire 600C comes in a sleek looking design with sharply curved edges giving it the rectangular form. However, the phone is not a replica of HTC One. There are subtle changes that sets each HTC piece at an advantage over the other (is Samsung listening?!). The phone comes with a glossy back with the camera mounted in a circle on the top. Right above the camera is the flash light. The circle comes with a metallic accent giving a unique look to the phone. While the form is the same as HTC Desire 600, the dual speakers set it apart. HTC Desire 600C runs on Android with HTC’s much loved-hated HTC Sense on top. However, whether it will be Android Jelly Bean version 4.1 or the newer 4.2 is still unknown. Needless to say, the phone features HTC’s Blinkfeed, HTC Video Highlights and other features. HTC Desire 600C comes with 4.5 inch qHD display and measures 127 grams. 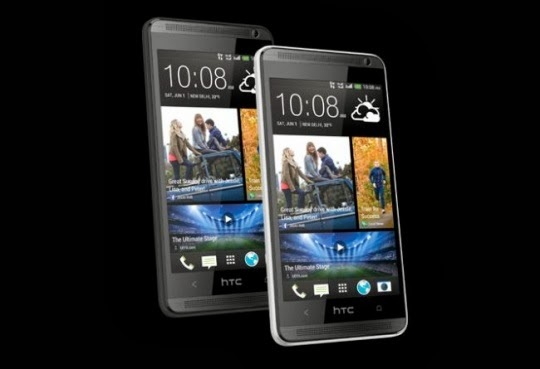 There’s no word on the screen resolution but we guess it might be the same as HTC Desire 600 at 540 x 960 pixels. Under the hood of HTC Desire 600C runs a quad-core processor. The Qualcomm Snapdragon 1.2 GHz quad-core processor coupled with 1 GB RAM should make the phone smooth. The phone comes with 8 GB internal memory which can be expanded up to further 64 GB using MicroSD card slot. While skipping the MicroSD card slot seems to be the new trend in smartphones, we are glad HTC has equipped HTC Desire 600C with one. While not the now famed Ultra-pixel camera, HTC Desire 600C comes with a 8 MP rear end snapper with LED flash. The phone also comes with a 1.6 MP front-end camera. Though there’s nothing that really stands out, or no one feature which makes the phone unique, HTC Desire 600C is definitely a strong phone in its class. We totally love HTC hardware and their Sense UI tweaks only add to the experience. The phone was launched for Rs 28,900 in India and is available online. The pricing seems a tad high but with smartphones getting more and more expensive, the price seems reasonable. However, we aren’t really sure of the CDMA market in the country.